Let’s look at the four-hour chart. Tenkan-sen line is above Kijun-sen, both lines are horizontal. Chinkou Span line has crossed the price chart from below, giving an additional signal to buy. Current cloud remains descending. The pair has broken through Tenkan-sen and Kijun-sen lines and is going to enter the cloud. The closest support level is Tenkan-sen line (07791). 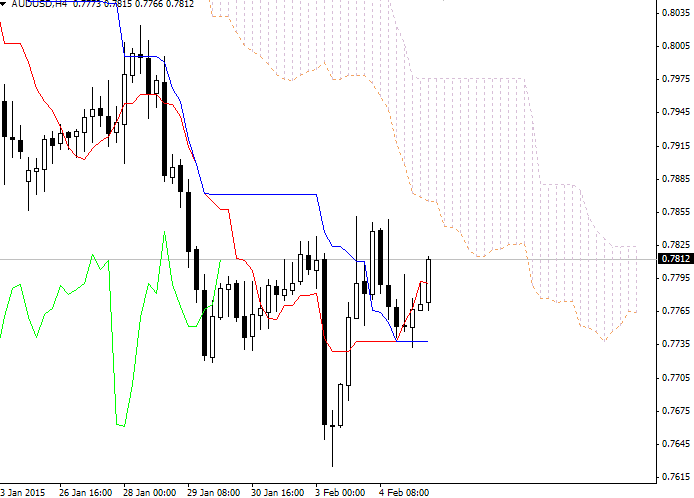 Lower border of the cloud is a resistance level at 0.7841. On the daily chart Tenkan-sen line is below Kijun-sen, the red line is directed downwards, while the blue one remains horizontal. Chinkou Span line is below the price chart, current cloud is descending. Resistance levels are Tenkan-sen (0.7824) and Kijun-sen (0.7959) lines. One of the previous minimums of Chinkou Span line is expected to be a support level at 0.7590. Resistance levels: 0.7824, 0.7841, 0.7959. On the four-hour chart we can see a trend reversal, although daily chart shows only a correction. 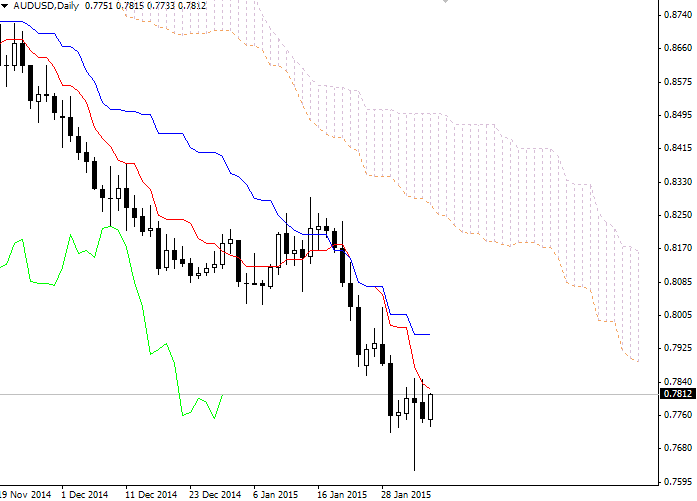 First target for the long positions is 0.7841, the next one will be 0.7959.